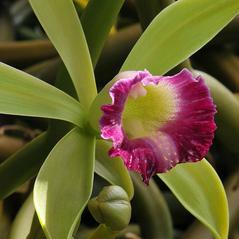 Vanilla dilloniana, commonly known as Dillon's Vanilla, is distributed throughout the West Indies and had been reported on the banks of the Miami River in south Florida. 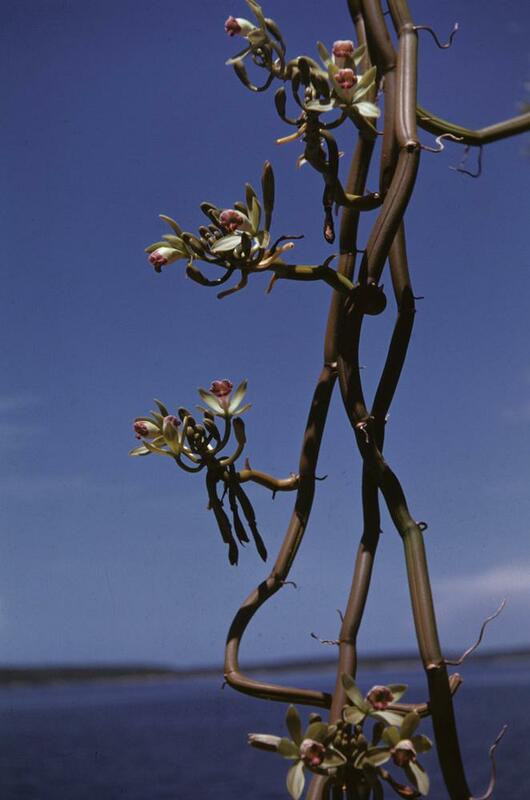 Shoots form a multi-branched, leafless vine that can reach lengths up to 5 m. The light green flowers are similar to Vanilla barbellata but the petals and sepals are longer and the fluted lip is a deep reddish-purple with a yellow crest. 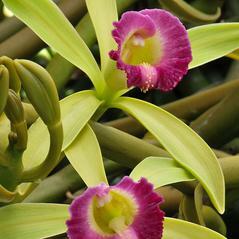 This orchid grows in areas with a limestone substrate, such as coastal berms and hardwood hammocks. 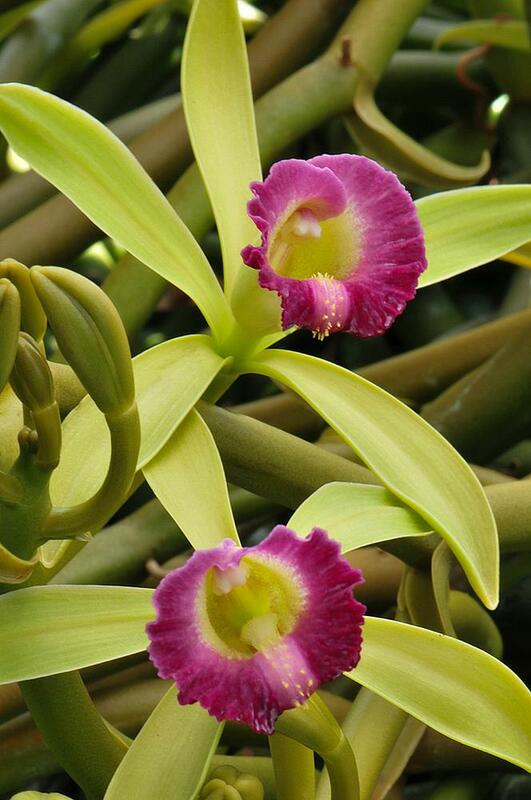 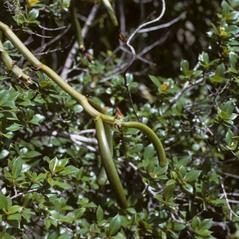 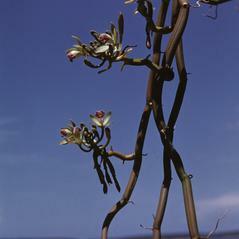 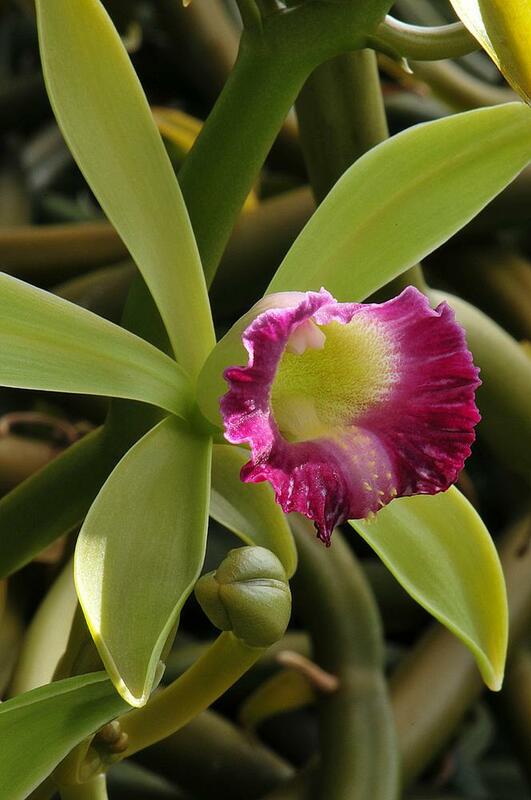 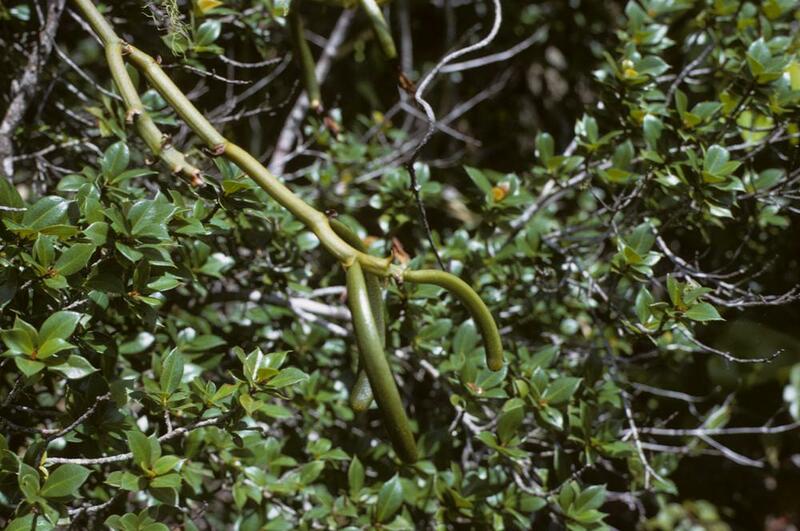 Vanilla dilloniana is considered vulnerable across its range and endangered in Florida. 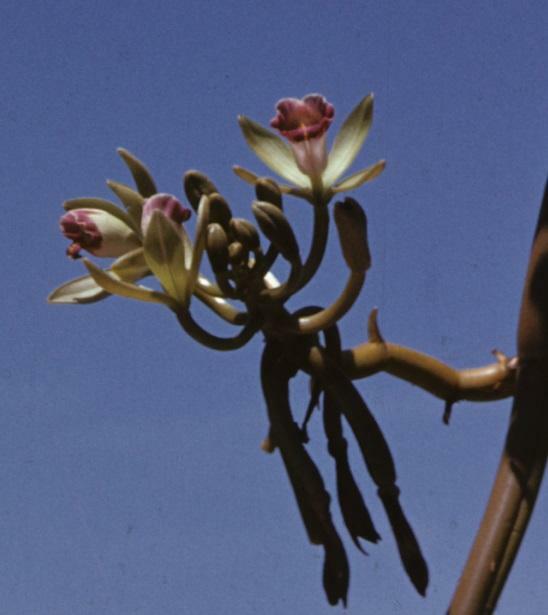 Although this species may be extirpated in Florida, pieces of plants from the original colony have been shared and may be found in local collections. 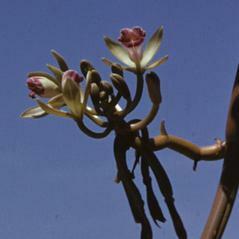 Pollinator information for this orchid has not been reported but Vanilla species are often pollinated by large euglossine bees.